Dress up your daybed and relax in style. Choose a classic daybed cover or a modern daybed comforter. Then, pile on the style with a bunch of comfy pillows to add texture and color! 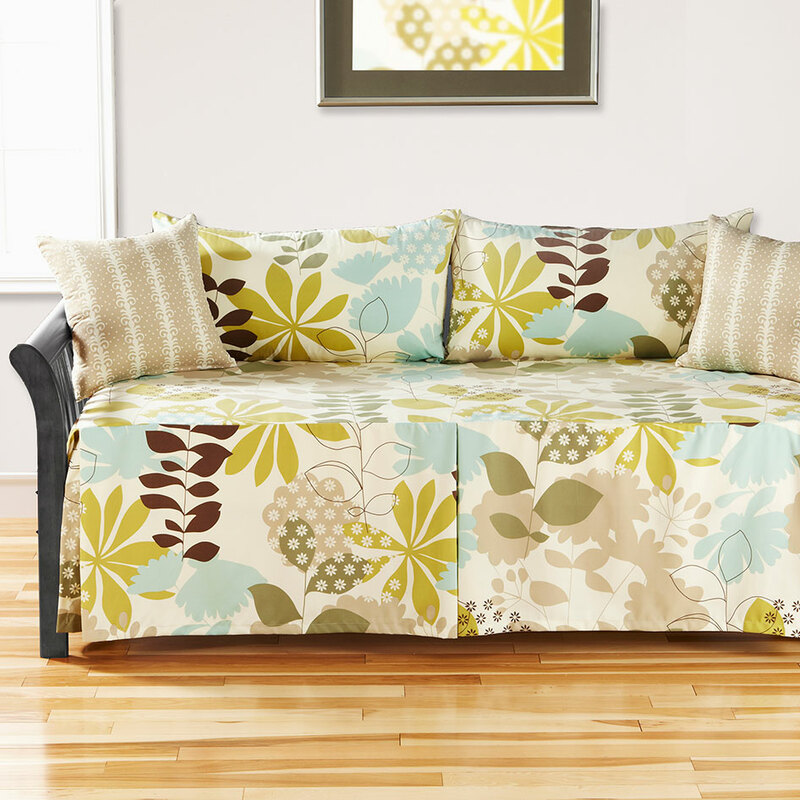 Our classic daybed cover is an easy, stylish way to dress the daybed. It simply tops the standard twin mattress, and the tailored skirt falls 21″ to the floor concealing the undercarriage of the daybed. Two sewn corners on the back of the cover keep it securely attached to the mattress. 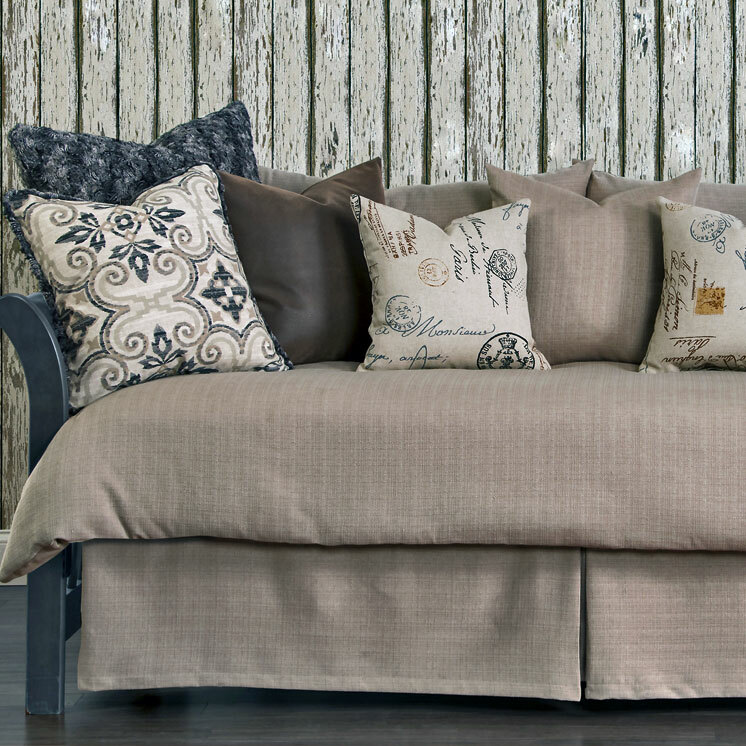 Choose any of our Siscover fabrics to create the daybed cover. Our daybed comforter is a modern approach to dressing your daybed. The comforter is filled with an ultra-soft down alternative insert. The front gently falls over the standard twin mattress and the back is held in place with two sewn corners. The matching daybed skirt has split tailored corners and fabric ties on the back keeping it securely attached to the frame. Some fabrics may not be available due to fabric width. Please call for a list.